Formfutura EasyFil™ ABS White is a beautiful deep signal white colored and 100% opaque filament. 3D printed objects in EasyFil™ ABS White will have a perfectly bright and fresh appearance. EasyFil™ ABS is a high-end “easy to use” 3D printer filament. Our EasyFil™ ABS is not like regular ABS, because EasyFil™ ABS has a very high impact-resistance, is extra strong, and above all is “easy to print” because of its limited warping! It is recommended to set your heated print bed ± 90-110˚C when printing with EasyFil™ ABS. 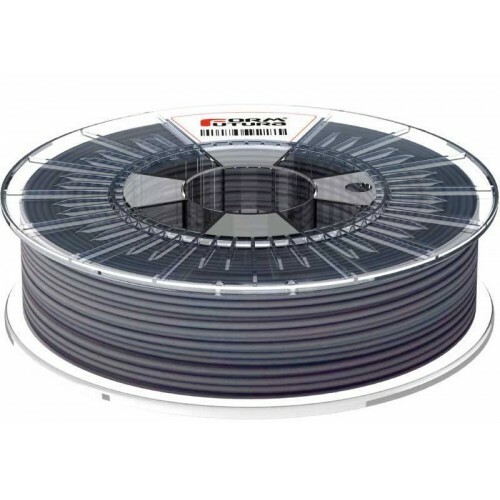 The printing temperature guideline for printing with our EasyFil™ ABS filament is approximately 220-260˚C. As each desktop 3D printer has its own unique characteristics, you might need to tweak around with your temperature settings a bit to get the best results. To obtain optimal results for your prints you need to take into account variables like your 3D printer’s nozzle diameter, your printing speed settings, and layer height. It is recommended to use a heated print bed when printing ABS. ABS has a tendency to warp, which makes it a difficult material to print without a heated print bed. Even though EasyFil™ ABS has a lesser tendency to wart than “normal” ABS it is till recommended to use a heated print bed. Ideally your print bed temperature should be set at approximately 90° to 110 ° C.
Please note that ABS will bend under too much heat, so after the first few layers, it’s best to turn down your print bed temperature a bit. A good first layer adhesion is of the utmost importance in obtaining the best results for your prints. Firstly make sure that you print bed is accurately leveled. Next, there are several tricks to get the first layer of your ABS print to stick better to the print bed of your 3D printer. In order to obtain a good first layer adhesion it is recommended to prepare your print bed with an adhesive spray like DimaFix. Use polyimide tape (Kapton tape or PET tape). ABS prints usually stick better to polyimide tape than to the print bed. When preparing the print bed it is better to have small gaps between your strokes of tape, rather than having overlaps. Overlaps of smaller pieces of tape may cause difficulties later on during the print process. Coat your print bed with hairspray. ABS has a tendency to stick really well to extra strong hairsprays. Coat your print bed with ABS juice. Dissolve a little piece of ABS in 50ml of Acetone. The acetone should get slightly cloudy. To make the surface of your print bed more sticky, you can lightly coat your print bed with this cloudy ABS/Acetone mixture. Please make sure not to use too much ABS in your juice as it will make your prints stick too well and be extremely difficult to remove. PET tape and Kapton tape are unlikely to leave a residue on your print bed. Hairspray and ABS/Acetone juice coatings will leave a residue on your print bed.